Froukje Vanweert was born in Bilzen, Belgium on February 2nd 1994. She started her Bachelor Biomedical Sciences at the Hasselt University in 2012. During her Bachelor thesis, she worked on the detection of autoantibodies in cerebrospinal fluid in patients with multiple sclerosis. After completing her Bachelor degree, she started the Master Biomedical Sciences at the KU Leuven, with the specialization Clinical Biomedical Sciences. Froukje performed her Master thesis at the department of Chronic Diseases, Metabolism and Ageing (CHROMETA), the division Gerontology and Geriatric at the KU Leuven. She investigated the effect of a combined exercise and nutritional intervention in (pre-)sarcopenic elderly. She graduated for her Master in July 2018. 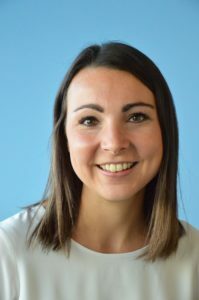 In August 2018, Froukje started her PhD at the department of Human Biology under supervision of dr. Esther Phielix. During her PhD, she will focus on the effects of lowering branched-chain amino acids on insulin sensitivity and mitochondrial function in people with type 2 diabetes.